The Campus Network of the Central Conservatory of Music was established in 2000. Up till now, the network has covered multi-functional building, office building, music practice building, library, student dormitory, and the family residential area of school's staff, which include partial wireless areas. The campus network has built main 10 Gb fibre-optical network that can cover the whole school. The customs of campus network can apply IPV4/IPV6 to connect the internet and new generation internet. Through the fibre-optical, campus network connects to educational network and public network respectively, in which the exit bandwidth of IPV4 is 120Mb and the one of IPV6 is 1Gb. 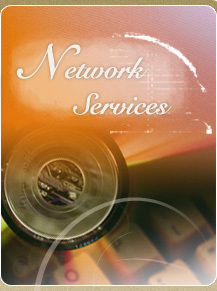 Currently, based on the campus network, the Network Center of CCOM offers the following services: CCOM websites (Chinese & English versions) information release, domain name resolution, receive/send mail, remote access VPN, custom authentication/account system, network security management, digital library, campus administrative office, campus e-card system, campus RTX instant messaging system, campus FTP service, etc. These services provide stable information platform for network applications and accesses on and off campus. Now, the application systems based on campus network have covered academic administration management, admission management, human resource management, financial inquire, analysis and managing system of school's comprehensive data, archive management, teaching video surveillance system, entrance guard/attendance system of multi-functional building, music practice building management, etc. School's organization guaranteed that the campus network has a good mechanism on construction, operation and management, resource development and application. The network center enhances self-construction on management system, technical measures, and the level of service, and forms a complete network construction, management, service and application systems. In the management system, developed a campus network management, operation, applications, services, and a series regulations and standards; in operating management, implemented the active running management and real-time monitoring of campus network through establishing Switchboard Room and remote monitoring and control system with real-time monitoring software; in network security, adopted a set message security gateway, firewall application service, Network user terminal protection, open to the students on campus for WSUS services and so on; in the user services, refined service processes and service standards, applied uniform authentication management and dedicated a specially assigned person to customer service. The above technical and management measures strongly guaranteed the safe and reliable operation of the campus network, and provided a good running environment for the application of campus network. It is worth pointing out that, as one of the institutions participating into the Project of China New Generation Internet (CNGI), CCOM has become one of the first hundred universities in China that connected to CNGI-CERNET2 and applied IPV6 in important academic events of CCOM. In October 2009, CCOM Network Center successfully supported the network interactions and joint performance of musicians in Beijing China, Calgary and Vancouver Canada simultaneously through the campus network service. At the same time, the center presented seven high-definition live broadcasting concerts on INTERNET and New Generation INTERNET.